In February 2018, we will conduct our 4th McCabe Educational Trust Sponsored Walk as part of an eight day subsidised Holy Land pilgrimage. We have space for one hundred participants, all of whom commit to raising funds for projects supported by The McCabe Educational Trust. This is a bi-annual event and each time we vary the programme to keep it interesting with the emphasis on visiting the projects we support. This pilgrimage is an inexpensive way for supporters to travel to the Holy land and meet the people benefitting from MET grants. All monies raised will be distributed among projects supported by the McCabe Educational Trust. You can choose to raise funds specifically for a favoured project or allow our trustees to allocate funds according to need. 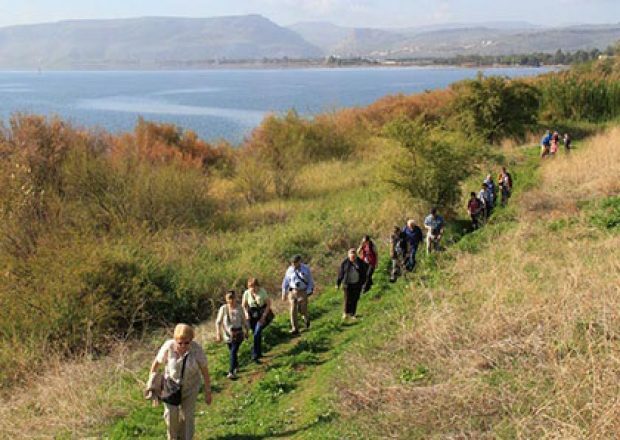 Our 4th walk is multi location, beginning in Jerusalem, then a desert walk, a Galilee trail, and ending in the Huleh Valley nature reserve. Walkers of all abilities (and none!) will be accommodated with the emphasis, as always, on fellowship. Participants will include McCabe Pilgrimages staff, MET trustees, regular travellers and Trust supporters, and this is the ideal opportunity, if you have not travelled with McCabe before, to come and see what we do. We will give a warm welcome to travellers coming on their own. We intend our time together to be a time of fellowship and fun, and an inspiring week in the Holy Land.